So for the last week or more I've been using the new mascara by Benefit called "Roller Lash". My first impression was that the packaging was nice and classy and the pop of pink was a nice girly touch. I wanted to use it for a while to see what I really thought of it because lets be honest, you can't give a proper opinion on something you've only used for a day or two. I've been using it every day for the last week or more and I can honestly say I am in love with this mascara. Roller Lash is absolutely perfect for every day use and lengthens, curls and separates your lashes perfectly. The brush for the mascara isn't your typical cheap spoolie brush, instead Benefit decided to go for a pink rubber brush that works brilliantly. The brush has a dip/curve in the middle so you're able to curl your lashes properly. I don't think I can say a bad thing about this mascara, it's just a really great mascara. I would definitely use this for day to day use.. however, I would still use my Max Factor False Lash Effect Mascara for nights out for a more dramatic look. But that's just a personal preference of mine because I don't wear false eyelashes. But if you wanted to keep your make up natural or didn't want to go for a dramatic look this is perfect. Don't get me wrong, you can still achieve a dramatic look with this mascara by layering it and that works well too. I don't think there's much else I can say about this mascara.. I mean, it's one of the nicest mascaras I've used in a long time. I am definitely buying this when it's released. Benefit Roller Lash will be available from all Benefit counters at the end of this month and should retail for around €26 which in my opinion is a good price for a mascara that's so brilliant. 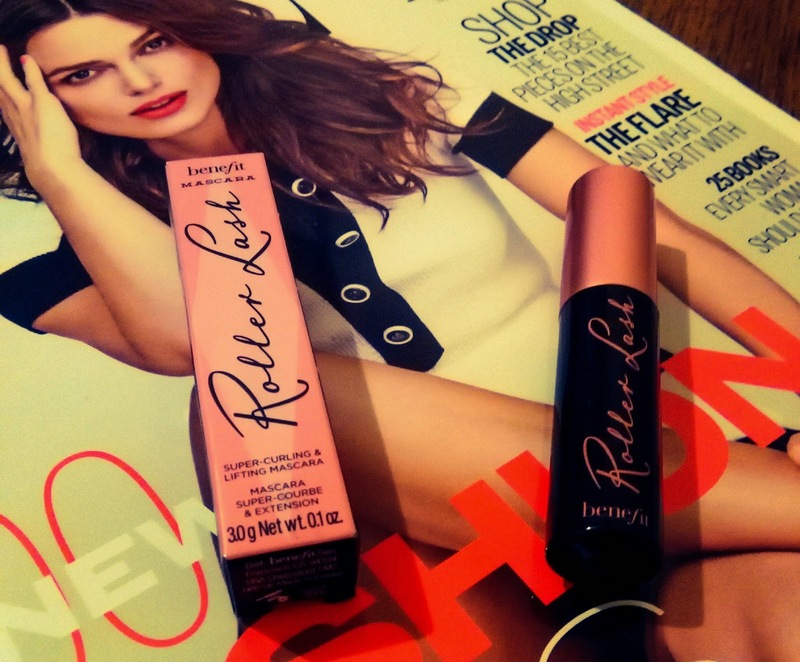 Benefit Roller Lash Mascara gets a big huge thumbs up from me! Will you be trying this mascara or what are your favourite mascaras? Leave a comment below.